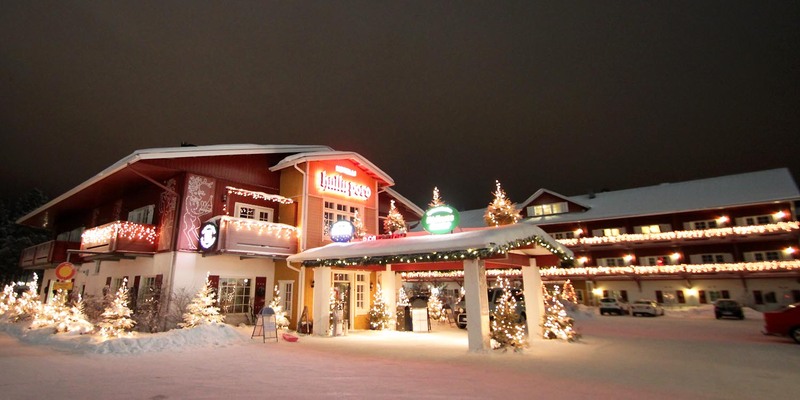 Hotel Hullu Poro (Crazy Reindeer) warmly welcomes you to Levi resort in Finnish Lapland. 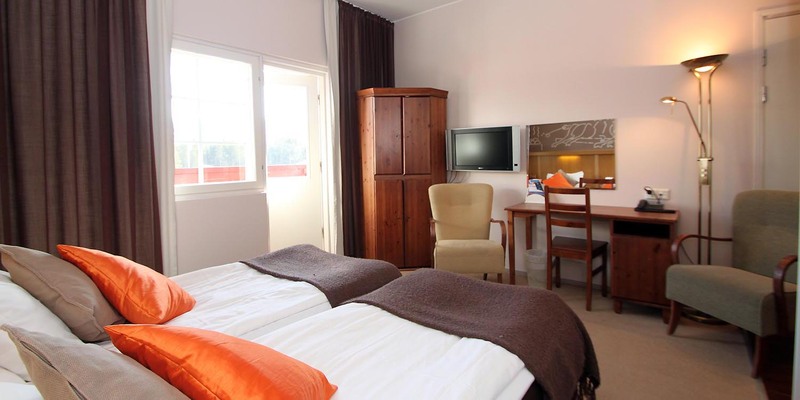 Our hotel is located in the heart of Levi village, only 15 kilometres away from Kittilä airport. Hotel Hullu Poro has rooms to suit all tastes. Choose your favourite from the range of 157 beautifully decorated rooms: 130 double rooms equipped with private saunas, bath tubs or steam showers, 16 family rooms which sleep up to four people and 11 two-storey apartments with capacity for up to six persons. All the hotel rooms are non-smoking and equipped with an Internet access , Wi-Fi. The hotel lobby has wireless Internet free of charge. We also have safe deposit boxes available at the hotel reception, where you can also reserve chargeable parking slots in the parking garage at Levin Tori. All the services Levi centre has to offer can be reached by foot. 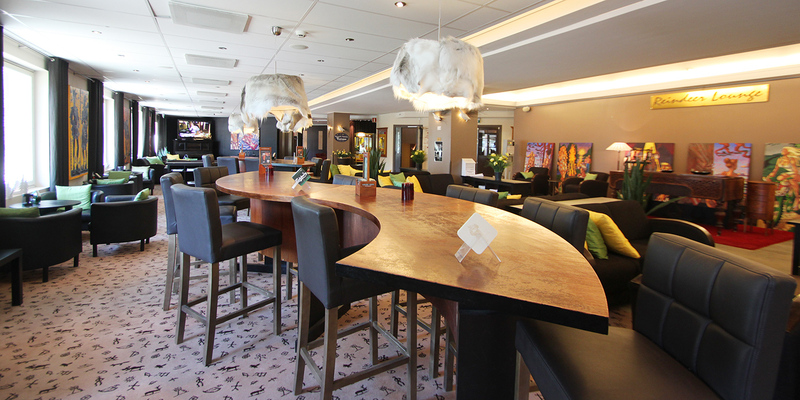 After an active day spent outside in the fresh air, the hotel lobby bar Reindeer Lounge welcomes you to enjoy a warm drink inside. Hotel Hullu Poro provides you with an opportunity to pamper yourself at the Relax Center, located in the main building of the hotel. Hotel guests may relax in the sauna department: enjoy a refreshing coolness of the cold water plunge pool or warm bubbles of the Jacuzzi free of charge. Also the gym is open for training seven days a week. Many kinds of treatments and services, such as cosmetician and masseur, as well a salt room and an infrared sauna, are available for a fee. Crazy Reindeer, a holiday legend for more than twenty years already! Yet, we still provide you with something new and unforgettable each time you pay us a visit. Whether you travel alone, with your friends or colleagues, on a holiday or in business, Crazy Reindeer is an experience not to be missed. We hope your stay with us is both enjoyable and memorable. We at the Crazy Reindeer are particular about one thing: whether our guest comes from near or far, they must be offered only the best. A smiling guest who is clearly feeling good is the best-ever thank-you for our staff. 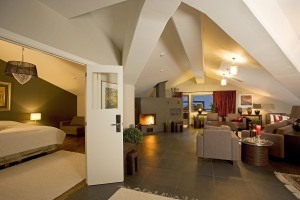 Penthouse is 250 m2 luxury apartment in a truly unique position right in the heart of Levi, at Levin Tori square. 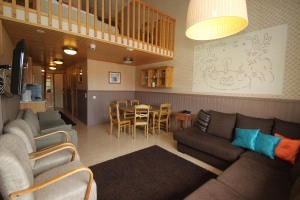 Located in the small village of Köngäs, Blueberry Villa is just a 10-minute drive from the centre of Levi. 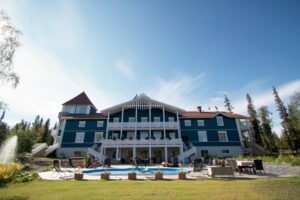 The beautiful three-storey blue building stands on the banks of the Ounasjoki river, surrounded by peaceful Lappish countryside. 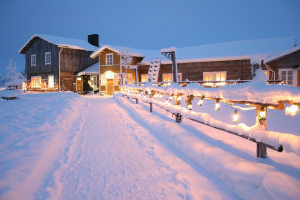 The unique Taivaanvalkeat, located in Köngäs village 8 km from Levi on the river banks of Ounasjoki river, is an excellent place for groups and families. 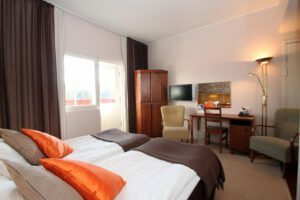 Stay in the comfortable high-quality 20 m² room with a shower. The room has space for a single bed if required. Each room has free internet access. 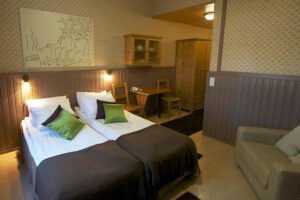 Stay in the comfortable high-quality 44 m² room with a sauna. The room has space for a single bed if required. The room is in two floors. Stay in the comfort of a high-quality apartment. 47 m² on the first floor includes a master bedroom, kitchen, living room and bathroom with a sauna. Upstairs has two bedrooms in a 30 m² area. 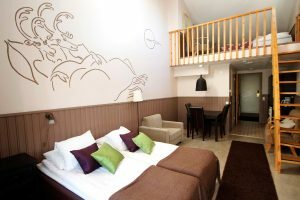 Stay in the comfortable high-quality 22,5 m² room with a bathtub. The room has space for a single bed if required. Each room has free internet access. 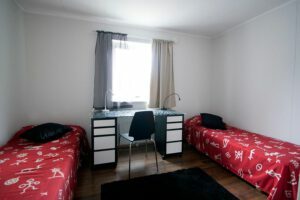 Stay in the comfortable high-quality 23,5 m² room. The room has it's own sauna and a kitchen corner. This room has space for a single bed if required.